Oh boy, we're pretty much caught up with my weekly buying! Huzzah! This batch is stuff I got back in June and then also the weeks before and after San Diego Comic-Con 2015. The ReAction line seems to work best for older licenses and classic Trek is a perfect fit! 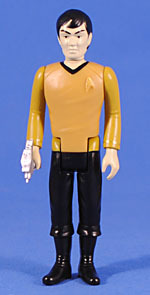 Spock looks petty good in this style; though I will concede that his head seems a little oversized, and the paint ranges between "bad" and "okay." 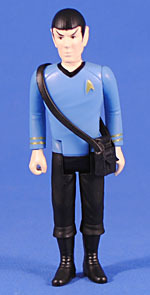 He comes with a tricorder, which is a pretty fun little sculpt and very much in the style of the classic toys. It hangs over his shoulder very well but is a bit too big to be held. The yellow shirt really pops here and looks quite nice. He's the same sculpt as Spock, which makes perfect sense, and there's even a fun touch on their back - a sculpted-on communicator. 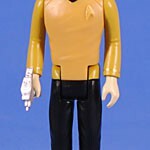 Sulu gets a new head specific to him and it definitely has a cool Animated Series vibe to it. Paint is still messy, though, and they gave him a different skintone than Spock which is more yellow-ish, and in a sickly way too. It's a... complicated choice, I feel, but if they're going for an animated that seems accurate to that show. 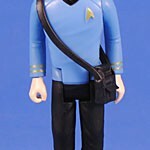 He comes with a phaser which is a nice sculpt and a better fit in his hand that it looked. I've really been looking forward to the T2 ReAction figures but it's been tough to find them at retail, and especially with good paint. However, when I saw this variant I had to get her since I figure it'd be unlikely I'd see her again. I really don't understand what's going on with the line either, there are variants and figures showing up that aren't on the cardback, so I'm not sure if they are chase variants, retailer exclusives, or what. But, anyway, this Sarah gets a different head sans cap and glasses, so she's ready to be all fatalist. 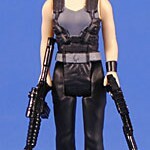 She comes with a machine gun and a shotgun, both painted in glossy black which at first seemed kind of odd but they definitely do look cool. Now I just have to find the other figures. Since I finally found a Scarlet Witch I went ahead and got this guy. 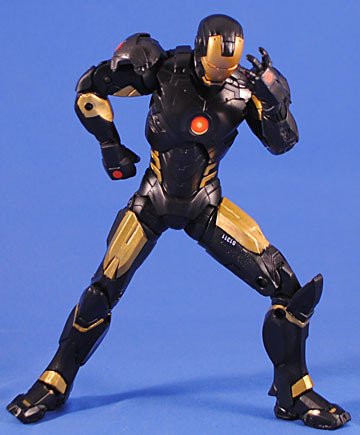 I'm pretty sure this is a unique sculpt, but it could easily be a simple repaint of any number of Iron Men. The semi-pearlescent plastic is neat but definitely has the translucent-y cheap sense to it. Paint is reasonable, and I definitely appreciate that they didn't paint a number on his chest making this a nice battle builder. Unfortunately, I wasn't very crazy about the movie or even these guys in their limited appearance, so unless they hit clearance I stick with the one. His little clip-on blade is novel. *SIGH* Scarlet Witch was alright, but just one of many "and the kitchen sink" subplots that seemed to keep Age of Ultron a bit of a muddy mess. 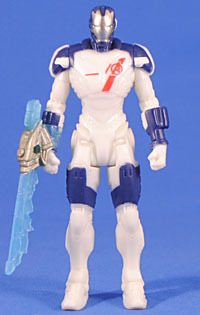 The figure is nice, and a good reminder that this 5-P.O.A. range should get figures of everyone, but it's especially remarkable outside of just adding a significant character. I like that she comes with little "magic effects" accessories, the same sculpt as the Legends version but weirdly about 25% smaller and, damn it, they just don't clip on well in this scale! It's a great idea but poorly executed. I mean... come on, man - Legends is in such a weird place now! All it takes to get a figure is for a character to be an easy repaint. I haven't even thought of this character since the '90s Iron Man cartoon. 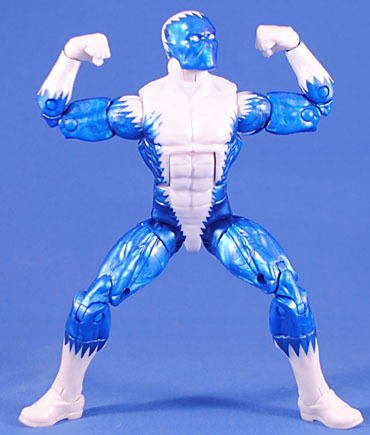 However, as you well know, I'm a huge sucker for metallic blue so I dig this figure on that front, and he's a pretty good combination of pearlescent blue plastic with white paint (head, arms, legs) and white plastic with metallic blue paint (body, hands, calves, feet) that match pretty well. All things considered, I just wish we would have come with some kind of "ice" effect - that would have really upped the cool. I kinda do dig the the no cape, long skirt look but the solid black with maroon highlights is just bland and boring. It really does highlight how crucial color is to a good costume and for Dr. Strange really helps add to the mysticism. Doc does get new hands which are kinda neat. The left hand has an opening between the thumb and middle fingers which is odd but it does let him do a weird Street Fighter-y hand pose. He comes with the same magic effects as Legends Scarlet Witch and the clips remain, forever, annoying as hell - the small one is too small and the big one is too big. Despite my constant complaining about those accessories, I will concede it looks kinda neat to double the 4" Witch ones with these 6" green ones on Strange. Oh my god... I thought the Space Iron Man from the Guardians of the Galaxy series was a terrible design but this - this is garbage. It's the exact same armor he was wearing before, but in black instead of red. 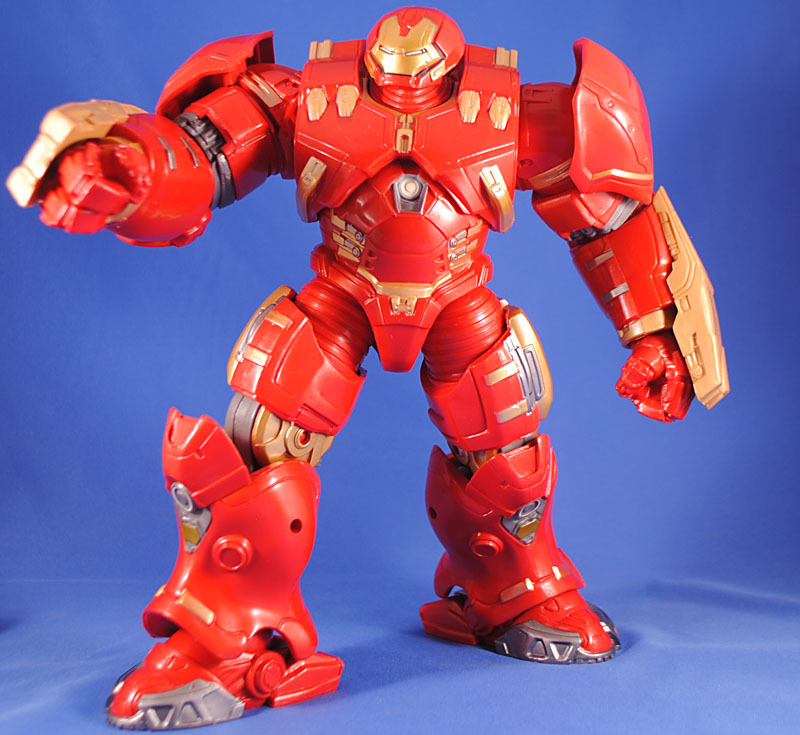 I presume that this series is so cheap to offset the cost of the giant Hulkbuster, but it's kinda offensive that I have to own this ugly color scheme just to get the Right Leg of the BAF. I'd never heard of the character before the figure and I still maintain she barely warrants having a figure of outside of simply just existing. She's decent for what she is, and so obscure I'm sure a couple people out there are losing their minds over getting a toy of her but this costume is just so tacky and dated. At least she does come with a ball'n'chain weapon to help plus her up. Valkryie's inclusion seems a little redundant since she already got a figure, but I suppose those are close to a decade old now and apparently she's got a more prominent role in the new Marvel universe, so... here we go again. She and Thundra use the big, amazonian body (remember, it's not a "buck") so she should, at least, tower over the previous figure. She also gets a unique torso and chest with her "Thor rivets" sculpted even though they could have easily just been painted, given how cheap the rest of the figures are. Those are much appreciated details, but between the long braids that cover them and the rest of the costume being as bland and boring as possible it's kind of a moot point. 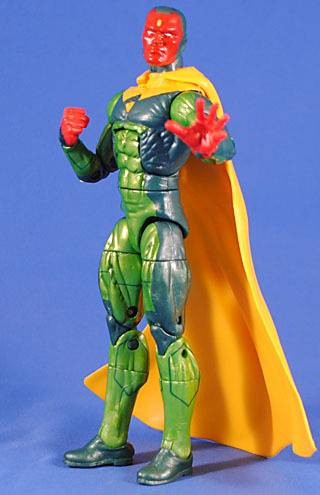 I've fallen in love with Vision's current costume, but in-hand I have to say it falls short. The metallic light green versus flat dark green looks great but if ever there was a figure who suffered from the details being paint rather than sculpt it's this guy. Plus, that would allow them to create a better solution for the cape, because this cape... is awful. 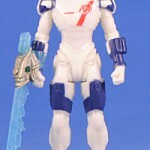 The peg that plugs into his back is long forcing the cape the stick out and make him back-heavy. My guess is they wanted a neat "flowing" look but without a flight stand to let him hover all it does is get the way of his on-shelf potential. His left hand is also one the new Spider-man splayed-finger hands which really calls attention to cartoony/stylized it is. 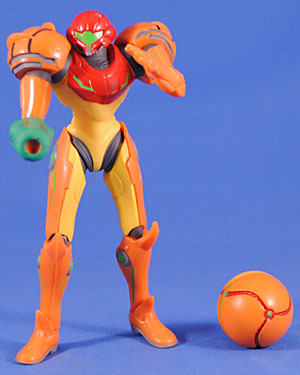 I like the intent there but it's style and size is out of place with the right fist and head. And speaking of the head, why aren't those details sculpted in either!? It's nice to include at least onne figure from Age of Ultron since that's what the BAF comes from, but this is clearly more filler, or at least a lucky excuse to shoehorn his release. This is just a straight repaint of Iron Man 3's Iron Patriot, which is fine and makes sense - presumably that's the same thing they did for the movie. Other than the BAF piece, the key selling point here is the alternate head with an open faceplate and Don Cheadle's face. 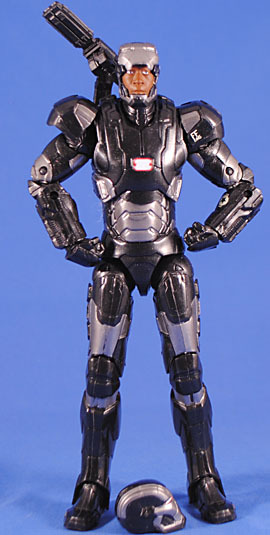 The likeness is actually pretty and the faceplate is higher than Tony's so you can actually see Rhodey's face. 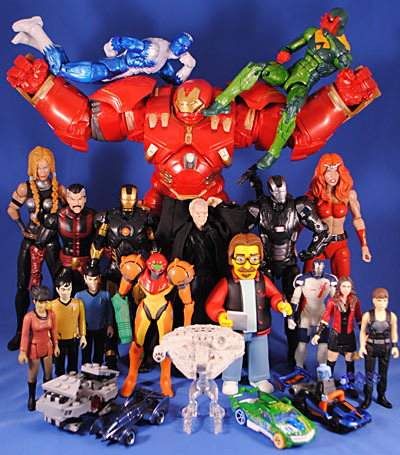 This is definitely the biggest BAF since the ToyBiz days! I mean, the legs are practically bigger than the figures they come with. 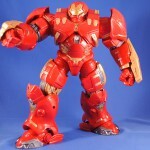 So, he assembles into a nice big, bulky figure that should make even the grumpiest collector pleased. However, other than his size (which is, to be honest, about 25% smaller, in relation to the Hulk, than in the movie - but that's an acceptable change since he's still damn huge) they are certainly some shortcomings to the final figure. Key joints (like knees and elbows) are restricted by the bulk of the design. Paint is also conspicuously minimal. It's certainly good, but one can't help but notice the places where apps were scrapped to meet a budget. The neck is also pretty tall causing the head to be far more removed from the body than it the movie, and that's probably the biggest issue for since the head is notably low in the film. But, when I say "biggest issue" I don't mean a "big problem," this is a nice figure overall and everything is just degrees of annoying. I do wish once of his hands was open, though, so he could be posed grabbing Hulk's fist. Until the prequels ruined him too the Emperor was my favorite character in Star Wars so that old loyalty convinced me to buy him at full retail price. Plus, even the 4" line has really burnt me the hell out on SW, I figure if I'll spend $20 on a Marvel character I've never heard of or seen before then I should do the same for SW. But man, this line is so continuously disappointing. This figure really looked awful in prototype and photos I'd seen but I gotta admit he's not so terribly bad in person. The soft-goods cloaks sits better than I expected/it looked like. It's still not good - heavens to betsy, no - but it's not as bad as it seemed. I just... yeah, the soft goods route is garbage and hurts this figure immensely. Even as a non-gamer I have an awareness of and appreciation for this game, and it is equally amazing it's taken this long for a mass market figure to be released here in the states (though I guess there was that weird 8" one years ago). 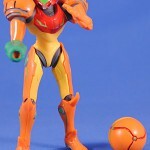 Samus is pretty much what you'd expect after seeing the rest of this line, though she is sadly less poseable than Mario or Link. Her joints are definitely restricted by her design but it seems the sculptor/engineer/whomever wasn't very concerned with poseability when working in the articulation. The design is nice, though, and is identifiably "Metroid," but it's more spiky than the suit that comes to mind and is a conspicuously different armor than is pictured on the back of the card. 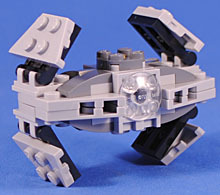 This is a surprisingly fun build, where you build the top and bottom halves separately then combine them via X-peg "underside to underside." But, as a final piece it's kind of odd, a bit more of a "chibi" style than one would expect with small wings and a thick mid-section. 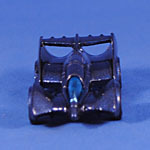 Despite the proportional issues the biggest turn off is the clear, round, curved 2x2 brick used for the windshield. Printing of the "web" lattice would have been ideal, or a smokey clear or even just a solid black brick would have helped a lot. By being crystal clear it's hard to make out and it really betrays the brick-built-ness of the piece; like "looking behind the curtain." The wings are all hinged though, so that's kind of fun. 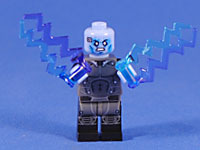 Well this is just weird... Not only did he show up a year after The Less-Than-Amazing Spider-Man 2, not only did Lego not do any sets or even just a Spidey for the movie, but it's just a figure with two electricity lines. It's boring and doesn't fit within the collection, but it is novel and the printing is nicely detailed, replicating the costume well. But still, just one character, way too late. Snagged this for pure cheap novelty! It's by far the lamest design of any Batmobile ever, plus it's from a live show that got its run cut short by cast mutiny so really... it's just a big pile of ironic thrill. As mentioned, I strongly dislike this goofy design, but for $1, I'll take it. 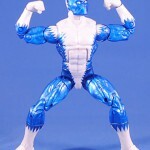 Plus, this new variant is in metallic blue, with translucent blue plastic canopy, and ya'll know I'm a sucker for that. I was yet again surprised and excited to see new colors for my beloved Lego-compatible cars! Fig Rig, the car that got me into Hot Wheels in the first place, adds green to its lineup (which includes red, blue, white and orange), though it does follow the less appealing, more goofy "different colored wheels" motif of the Orange car. Let's Go is now in gorgeous metallic blue, with neon orange plastic bits. It remains about 15% too small for a minifigure to sit in it perfectly, but with some finagling they'll make it in, though with only one hand on the steering bar at a time. 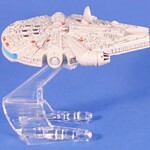 After the surprising awesomeness of the Ghost ship in this format I had to hunt down the Falcon and was very pleased to find. It too turned out wonderful in this style. Definitely more detailing than the Ghost, but that makes sense given the mediums and eras, and the engines have a nice bright blue color. 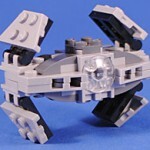 The radar dish is even articulated on a swivel joint for extra fun (and easy swap-out for Episode 7). 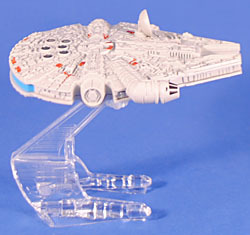 The Falcon definitely feels like a solid $5 ship, and the phenomenal stand, which doubles as a ridiculously fun finger-mount for swooshing, remains epically cool. 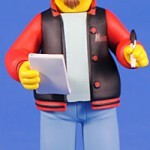 NECA's Simpsons line has been a big mixed bag. A cool continuation of Playmates' World of Springfield line, a fun way to sneak out toys of cool celebrities, but wonkily engineered figures which have about a 40% rate of not being able to stand. 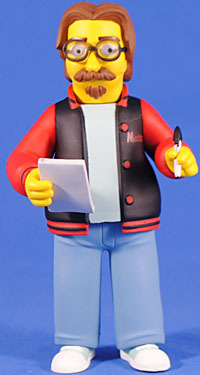 But fortunately Matt does, and really - if you only get one figure from this line it needs to be this: a toy of the Simpsons' creator. The sculpt is nice and the paint is solid. He comes with a sharpie held in one hand and a pad of paper for the other. It's weird that it's blank at first, but I think the idea is to let folks draw on their own sketches or notes (or to have Matt sign his autograph on, if I ever get the chance to meet him). It's been a novel but frustrating line to cherry pick from, and since Gracie Films are being jerks and not allowing NECA to do anything but celebrities who appeared as themselves, I'm happy to see the line come to such a solid close. This entry was posted in Rustin's Spoils of the Week and tagged Avengers, Batman, Hot Wheels, Iron Man, Nintendo, ReAction, Simpsons, Spider-Man, Star Trek, Star Wars, Terminator. Bookmark the permalink. I love this review as always. The second ave of Star Trek is out here in South Carolina, Gorn, Kirk, Vina and Scotty (I think). 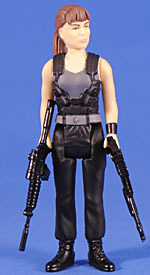 I've seen a long hair variant Sarah Connor yesterday looking for 50th Joes wave 2 and saw that, as well as Bloody Jaws/Quint exclusive. What I thought was cool, a few months ago I found a green fig rig with NO paint on the side at all! And there is a red Lets Go as well! Excelsior! I've seen that Jaws set, too, and am really impressed by how well Funko has done at getting a con exclusive out where people can get it. Compare that to NECA, who only sent their things to "select" TRUs, then bemoaned the fact that they weren't selling. Well duh! Once the small pool of customers who go to that TRU have the exclusives, they don't need more of them. Maybe instead of stocking six items at one store, it would be better to stock one item at six stores? It was also kinda weird that some stores seemed to get certain exclusives but not others. I saw a TRU with the Anteverse Giosy Danger but no Apes or Predators or other NECA exclusives, and another TRU that only had the Pacific Rim chibis. Unless they had the other stuff and immediately sold out of everything but the PR stuff. Next time buy your BAF on eBay so we don't have to read your bitching about every individual figure. 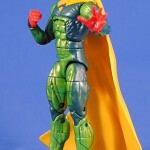 You're not new at this, by now you know exactly what you're getting into when you buy a set of Marvel Legends. Ugh I know ever since they made reading Rustins Spoils of the Week mandatory by law and not reading it punishable by ten years in prison I've had to slog thru his opinions. Oh wait thats not the case. You can just not read it. You're not new at this, you know what to expect with a Rustins Spoils post. Did I hurt your boyfriend's feelings and he asked you to stick up for him? OoOo, watch out, this kitten has CLAWS! Clearly he's just laughing at hypocrisy. You're complaining about Rustin complaining about things he doesn't have to deal with in things you don't have to deal with. You are just precious. Be careful or mommy might take away your internet privileges. 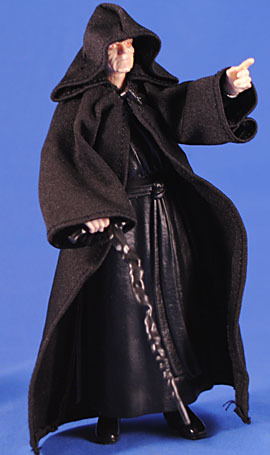 I really can't explain how mad that crappy Palpatine figure makes me. I actually really liked him in the prequels, and thought he was one of the things they really delivered on. 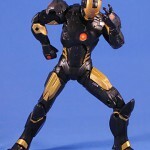 And he gets one of the dumbest looking action figures I've ever seen. Who at Hasbro looked at the finished product and though, "Yeah, that's worthy of a $20 collector's line"? 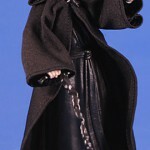 Oh, and is the hood wire-poseable? I'm not buying it, I'm just curious. There's no wire. The bottom corners of the hood are sewn together in a way that makes it hang somewhat naturally (as naturally as soft goods at this scale can) but nope, no wire. 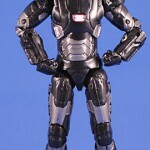 That Black Iron Man is a straight repaint of the mold that they have been using for the Iron Man figures since the 2008 movie. It's insane how much mileage they've gotten out of that mold. 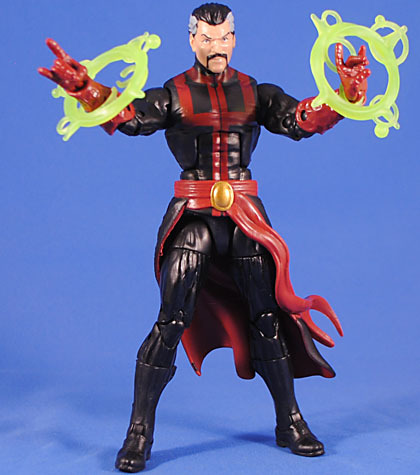 You would quite literally be my toy hero if you could post pictures of the Strange with the double up normal and 4" Scarlet Witch magic pieces. Also, assuming you have 6" Wands, do the 4" ones fit on her? I've been debating picking up 4" Wands JUST for the spell effects (I didn't notice the reduced size but I did notice it's a slight retool- the 4" scale ones are more whispy looking) but the smaller of the wrist clips is now more pinchy then graspy so I wasn't sure it would fit. BUT if it's been scaled down the larger wrist clip might fit 6" Wanda? You can kinda fake it, but the small c-clips don't fit around her wrists, and the larger ones aren't small enough to grab onto her arms with enough friction to hold. You can hang them on her fingers in some poses, but it's nothing super secure. Valkyrie was the only figure from the Hulkbuster series I wanted, but the paint/headsculpt make her look absolutely bored in every picture I've seen. 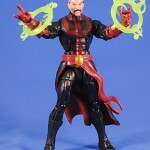 Doctor Strange, on the other hand, I had no interest in...until I picked up the Book of Vishanti set. Combined with the Odin series Scarlet Witch, that's three different colors of hex effects to play around with! I like the Blizzard and Vision poses in the main picture. Funny! The v necks with exposed skin are wrong for the Trek guys, but whatever...who cares about accurately representing a 1960's tv show. I never heard of Thundra before Spider-Man Unlimited cartoon. Lego did make a version of Spider-man's suit for the Amazing Spider-man. 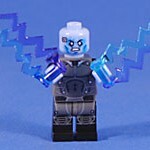 It was an extremely rare SDCC exlusive that was given away to random people at Lego's booth or whatever they had. The whole Funko reAction thing isn't my cup o'tea, so to speak, but you know what is? New Spoils posts! I'd even buy a reAction if it meant you starting up again!